The Rock Weight from Tom Dixon celebrates the beauty of marble while also bringing a sculptural accent to laid-back weightlifting workouts. 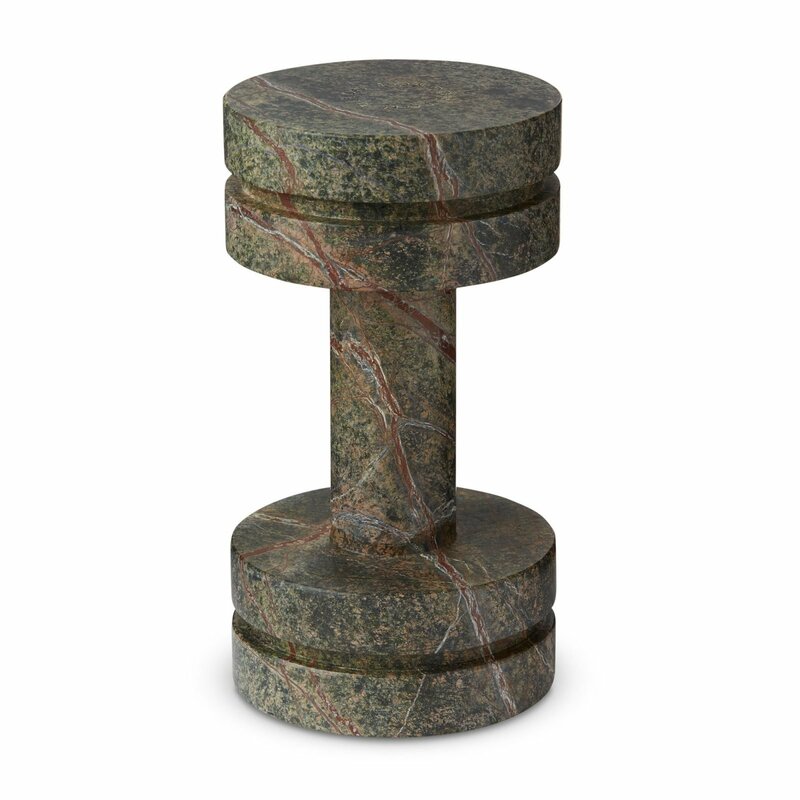 Designed with a minimalist aesthetic, the dumbbell showcases the textures, patterns, and color variations of Green Forest marble. Each weight is crafted from a solid block of marble. As a result, every item is one-of-a-kind. The Tom Dixon Rock Weight weighs 2.5 kg, or 5.5 lbs, and can be also used as a paper weight or as a playful decorative object. Other products from the Rock collection are also available, including marble serving boards.